HNS interviewed the Cast and EP of ‘Marvel Rising: Heart of Iron’ at WonderCon 2019. 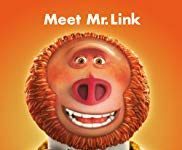 Check out our interviews with Sofia Wylie, Kamil McFadden, Milana Vayntrub, Kathreen Khavari, and EP Cort Lane. About Marvel Rising: Heart of Iron- Riri Williams feels socially isolated because she is young for a college student. Hala the Accuser destroys the school’s engineering lab and kidnaps Riri’s best friend. Inspired by Iron Man, Riri hatches a plan to save the day. During the panel, the producing team also teased three more Marvel Rising specials- Marvel Rising: Battle of the Bands, Marvel Rising: Operation Shuri, and Marvel Rising: Playing With Fire to be released later this year. Starring Agents of S.H.I.E.L.D.’s Ming-Na Wen (Hala) and Chloe Bennet (Quake), Sofia Wylie (Ironheart), Kim Raver (Captain Marvel), Dove Cameron (Ghost-Spider), Tyler Posey (Inferno), Cierra Ramirez (America Chavez), Milana Vayntrub (Squirrel Girl), Kathreen Khavari (Ms. Marvel), Kamil McFadden (Patriot), Dee Bradley Baker (Lockjaw/Tippy-Toe), Mick Wingert (Iron Man) and Melanie Minichino as (A.M.I. 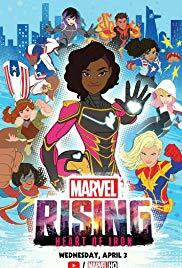 ), Marvel Rising: Heart of Iron premiered on Wednesday, April 3rd on Marvel HQ!